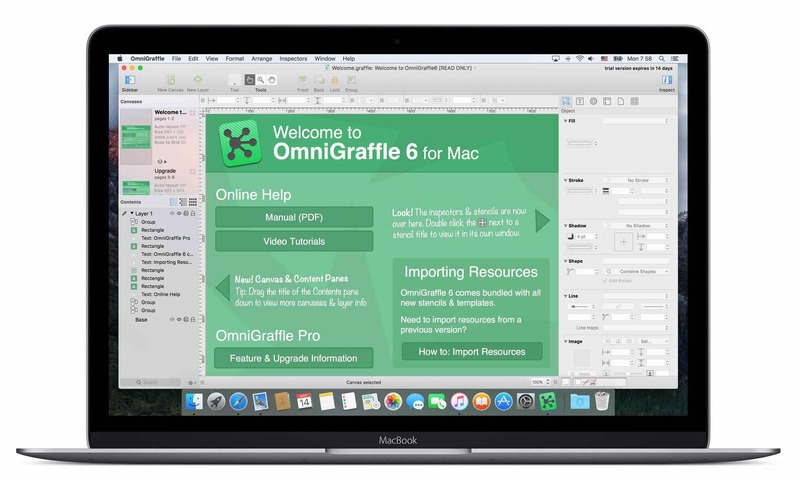 توسط برنامه Omnigraffle Pro میتوانید نمودارها، چارت ها و شجره نامه و هر مطالبی که میخواهید بصورت نمودار باشد، بصورت حرفه ای تهیه کنید. [Ruler Context Menu] You can now right-click (or control-click) on the canvas rulers to quickly hide and show guides, change canvas units, and hide the rulers themselves. [News] News from the Omni Group will now show up in the app. 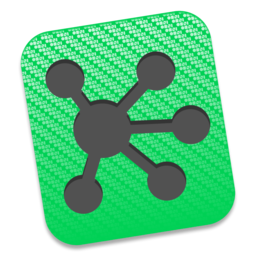 This feature will only be used to alert you of critical issues like OS updates that might break compatibility and announcing major new versions of OmniGraffle. [75% Zoom] Added 75% to the list of built-in zoom settings. [Enforce Canvas Scale] The “Auto-convert scaled objects” canvas option is now called “Enforce Canvas Scale” to be more clear. [Documentation] Updated and localized OmniGraffle 6 documentation and Welcome document. [Unit Menu] Grouped units in the Unit menu to make them easier to find. [Editing Layer Names] Clicking the layer lock icon now saves in-progress layer name edits. [Diagram Tool] Adding a new shape with the Diagram tool while zoomed places the new shape where you clicked instead of the canvas origin point. [Keyboard Shortcuts] The appropriate inspectors now become active when using keyboard shortcuts to switch tools. [Shape Connections] Fixed an issue where lines with both end points connected to a single Bézier shape would sometimes partially disappear. [Crash Fix] Fixed a crash that would occasionally occur when saving, or choosing not to save, a new Stencil or Template. [Crash Fix] Fixed an occasional crash that would occur when opening a template. [Crash Fix] Fixed a crash that could occur when multiple open dialogs for setting a background image on a shape were open at the same time. Now only one open dialog for setting shape background is allowed at a time.